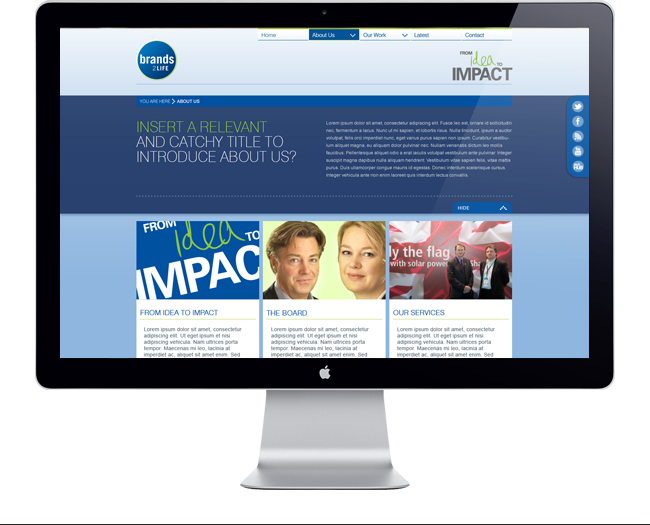 Having lived with their dated corporate website for a number of years, leading London PR agency, Brands2Life wanted a change. 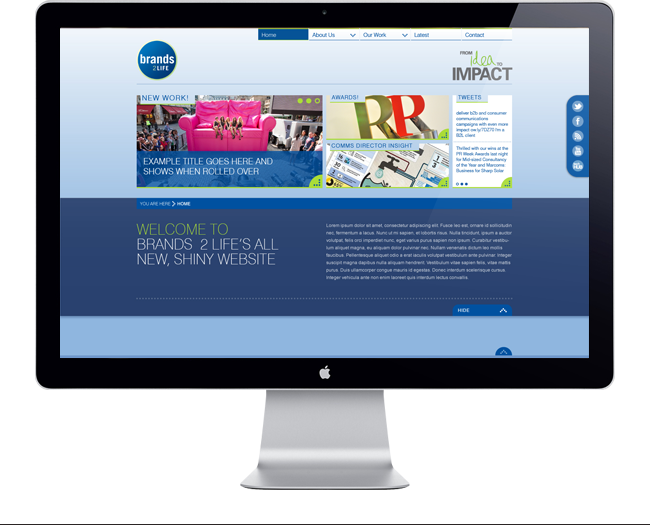 They needed a site that greater reflected their brand values, business growth and big-name client base. 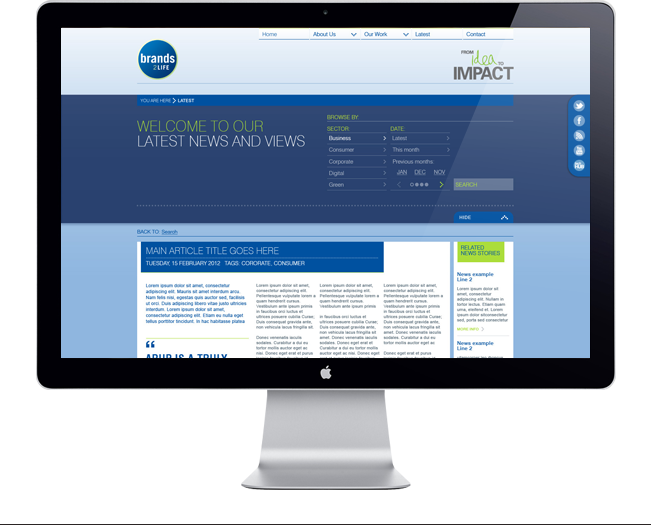 After winning a competitive pitch process, Avenue were tasked with designing and developing a website that could achieve the above with a client content management system allowing for regular updates. Putting the day to day control of the site in the hands of the B2L team was essential and counteracted the dating process that afflicted the previous website incarnation. 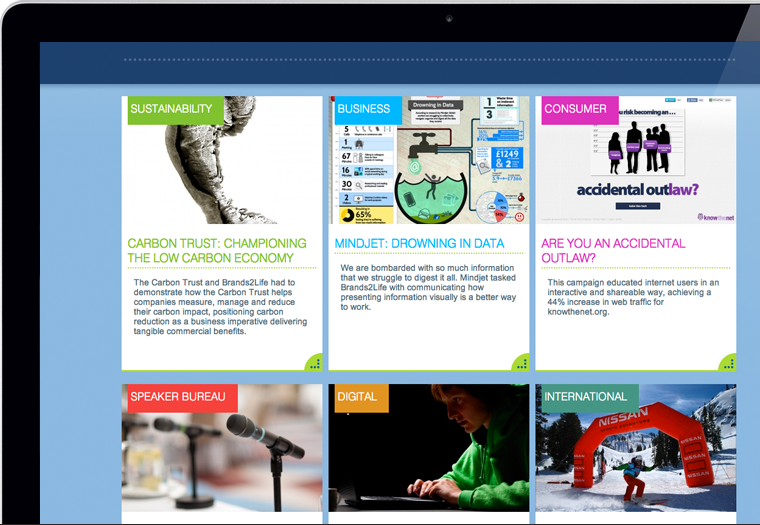 The new site allows B2L to react to market changes and champion their breath of projects and industry activity. 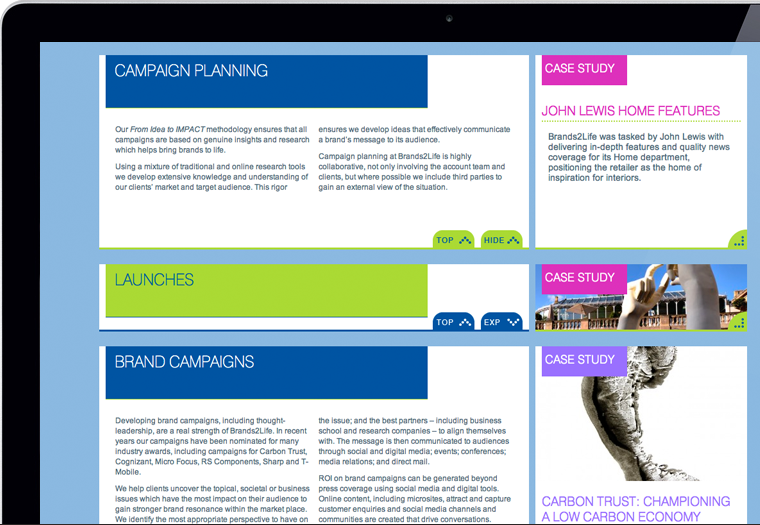 Pages from the Brands2Life site showing the flexible website structure. 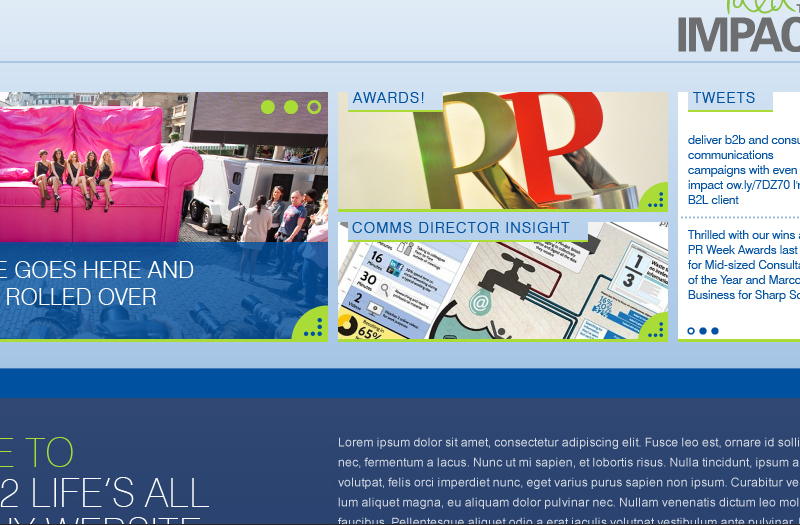 The homepage intro panels provide immediate direction for greater user interaction. Sector colour coding provides guidance within the site and added vibrancy. The new site holds a delicate balance of fresh, changeable content alongside essential B2L service information. 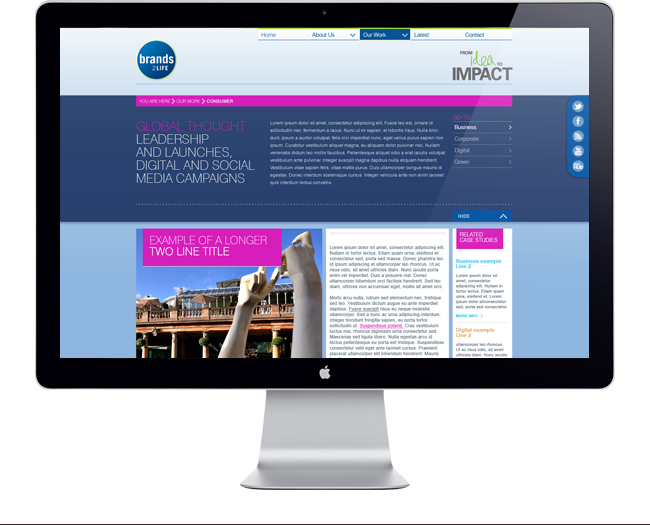 Introduction panels present B2L’s expertise and values in laymen's terms, while magazine-style panels splice in up-to-date case studies and related content to further prove the point. A Twitter feed gives a voice to B2L staff whom regularly tweet a mix of topical content and B2L news. The customised Wordpress backend system allows the B2L team to link case-studies, news articles and market analysis throughout the site. This takes users on a journey that re-enforces B2L’s experience and influence. The site catagorises projects by sector and interlinks related case-studies that would be of interest to clients. A customised lightbox upholds the brand identity. An extensive news archive links industry updates to key B2L activity and projects. 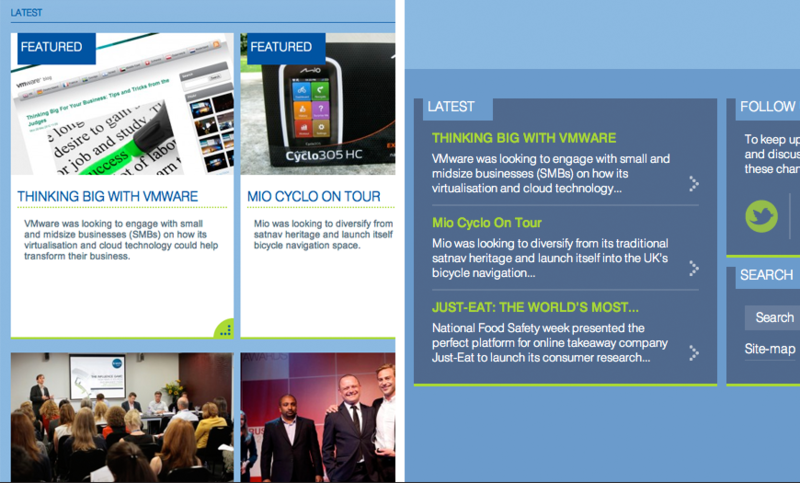 Featured news updates the ‘latest’ footer panel, refreshing every page of the site. The flexible CMS allows the B2L team to renew everything from their company ethos, board members and list of services as they develop and grow. 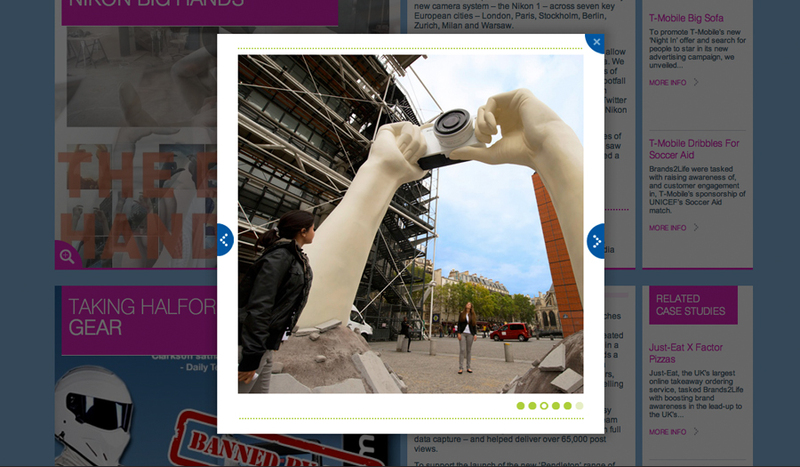 Built in custom interactivity (like hide and expand here) improves the users’ site experience.